Old Havana’s cheapest hotel, basic but clean, supreme location next to 5 star hotels. 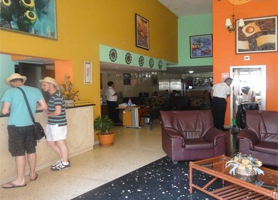 The Hotel Lido is Old Havana’s accommodations for the budget conscious traveler. What you get is a cheap hotel which is located in Havana’s Colonial Old Quarter at 1-10th of the price of surrounding hotels. If you are price conscious but also prefer the benefits of staying at a Hotel rather than a casa particular, then Hotel Lido is for you. 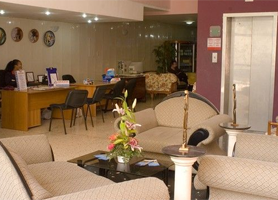 Hotel Lido´s privileged location provides a gateway to the charms of Old Havana or Habana Vieja in Spanish. Much like the more expensive hotels in the areas you are within a 2 minutes’ walk from: Havana’s Grand Theater, Capitolio Building, Partagas Cigar Factory, the Museum of Natural Sciences and other historic and cultural centers in the old section of Havana city. 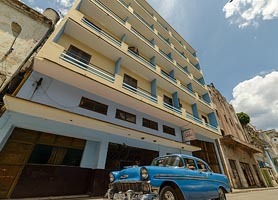 There is an Old Havana Car rental office conveniently located just down the street at Hotel Sevilla. Despite its unpretentious accommodations, Hotel Lido is the place to be if you want to experience buzzing street life like nowhere else in Havana, while encircled by street after street of still magnificent Spanish colonial architecture. Classic American Car lovers will love Hotel Lido as many classic Taxis use its frontage as a parking area to wait for customers. 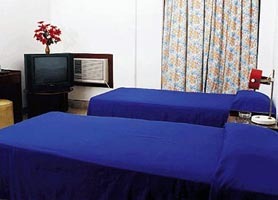 Islazul Hotel Lido has 65 air-conditioned rooms, all with private washroom, telephone and TV. Onsite there’s a snack bar/grill, cafeteria, currency exchange, safety deposit box and constant taxis out-front. If you enjoy an early even drink with the locals the Hotel Lido has pleasant terrace that stays open late into the night. The viewing platform on the Fifth floor rooftop bar has a captivating view of Havana. Hotel Lido is a cheap hotel but it’s both clean and presentable. Its killer location and price seals the deal for budget conscious travelers looking to stay in the center of Colonial Havana at the lowest feasible cost. Lido Hotel Old Havana is usually in very high demand and, as such, should be booked in advance. Our booking program allows reservations at Lido hotel without down payment or deposit which will guarantee your dates and also allows preferential modifications should your dates change in the future. Our booking process is unique because it shows the best rate from all of these for Lido hotel in Old Havana and the types of rooms available. 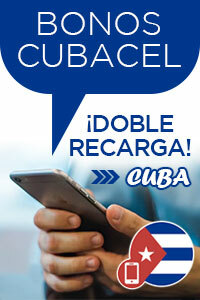 Our Lido Hotel Old Havana rate comparison is an industry first for Cuban Hotels. Once you’ve compared the rates, finalizing the booking at Lido Hotel takes just seconds and an immediate confirmation is provided in real-time.